Hailing from Italy, MNNR lands on Night Bass with his first EP with us, featuring a unique blend of house music, catchy vocals and banging drums. MNNR hits hard with title track, “Scared to Death” featuring some fun sample work vocals and a heavy beat that revitalizes the vintage samples. The trance-like rhythms of “Scared to Death” melt seamlessly into the vibrant keyboard tracks of “Lazers”, an energetic roller that gives way to a bouncy synth to round off the EP. 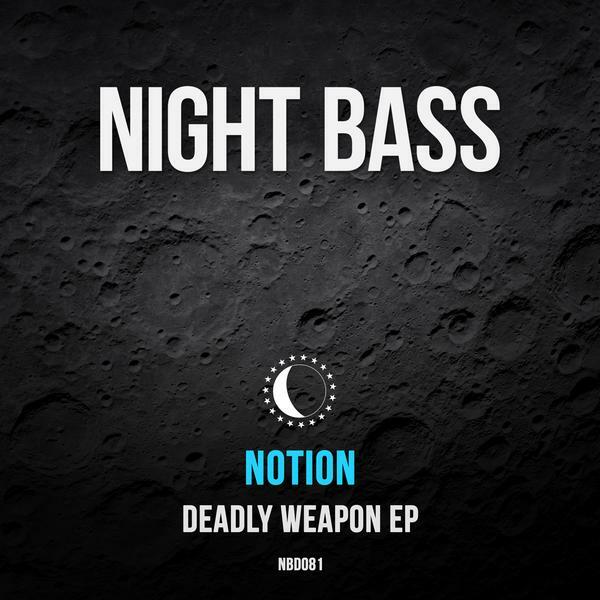 We’re proud to welcome MNNR into the Night Bass fam with this one. Night Bass label head honcho AC Slater kicks off 2019 with the release of his impressive 'Free Your Soul' EP. The three-tracker hits hard with title track 'Free Your Soul' paving the way for a stack of dance floor heaters. 'IFU' tests expectations while maintaining that signature Slater bouncing bassline, and closing off the work is 'Step Back' featuring Armanni Reign, a long overdue collaboration from AC Slater and TS7 featuring Armanni's outstanding MC work. Click below to stream and download! Phoenix-based Blossom has been performing at our Arizona Night Bass shows for years and we’re beyond excited to introduce her first Night Bass release. The EP blasts off with the title track featuring high energy vocals from the one and only TT The Artist. “DYTAM” keeps the vibe rolling along with a slightly darker vibe leading into “Anime”, a fidgety bass banger featuring guest bars by Outlaw. We’re very excited to welcome Blossom to the family. We introduced Corrupt (UK) to Night Bass via our Volume 6 compilation, and now we're incredibly excited to debut "It's Not OK", his first solo Night Bass EP. Vocals from Natz give the track a soulful flavor before dropping into a ferocioius bassline while "Keep It Coming", "All Massive" and "Loot" are all heavy peak time rave artillery in true Corrupt (UK) fashion. This is UK Bassline at it's finest courtesy of Corrupt (UK). Our 5 year anniversary complete lineup is out! This special night will be held at Exchange LA and will feature tons of awesome B2Bs. Get your tickets from the link below and come celebrate another amazing year with the Night Bass family! We introduced Corrupt (UK) to Night Bass via our Volume 6 compilation, and now we're incredibly excited to debut “It’s Not OK”, his first solo Night Bass EP. Vocals from Natz give the title track a soulful flavor before dropping into a ferocious bassline while “Keep It Coming”, “All Massive” and “Loot” are all heavy peak time rave artillery in true Corrupt (UK) fashion. This is UK bassline at it’s finest courtesy of Corrupt (UK). As we approach the new year we gathered up a combination of our best-selling tracks, fan favorites & staff selects for our "Best of 2018" compilation, recapping an amazing year with incredible artists. Our 5 year anniversary is here and we couldn't be more excited to share it with you. We've planned something truly special at Exchange LA with amazing b2b sets from some of our favorite friends. Come celebrate with the Night Bass family! Russian house duo VOLAC has been killing the game recently with a new Diplo & Friends mix, their epic remix of MALAA's 'Bling Bling' and now with a smashing 2-track EP to coincide with their USA tour. The long anticipated title track 'Funky' features an impressive twist on VOLAC's signature sound, and 'Bass So Low' offers a wild and punchy b-side to round out the release. Click below to catch some of those funky vibes.